You are encouraged to volunteer at the St-Andrew Residential Centre. The support of caring people who lend their time, energy and talent to enriching the lives of our seniors is invaluable. You can volunteer at the Home by contacting Elaine Grant, the Recreational Technician, at 514 489-8190, ext. 1309 or by contacting Helen Dearlove, the President of the Home’s long-standing St. Andrew’s Auxiliary. Becoming an Auxiliary member can be a deeply rewarding experience. Join us to become a part of this worthy endeavour! No commitment is too small, and we are grateful for any and all time contributions. For more information, phone the President, Helen Dearlove at 514 488-3987 or the Treasurer, Sheila Allan at 514 489-8354. Our mission is to promote excellence in aging and enrich the quality of life of seniors in Montreal. Founded on our strong heritage of Presbyterian values and community support, we raise the crucial funds needed to enhance the care, comfort, dignity, and independence of elderly people. If you have any questions, please contact us at 514-623-5127. For a dynamic new Executive Director, to lead the Foundation in its ongoing work of supporting seniors and their caregivers in our communities. Please follow the link for more details about the position. You help support residents by going beyond having their basic needs met, by helping improve their daily-living activities and enriching their quality of life. 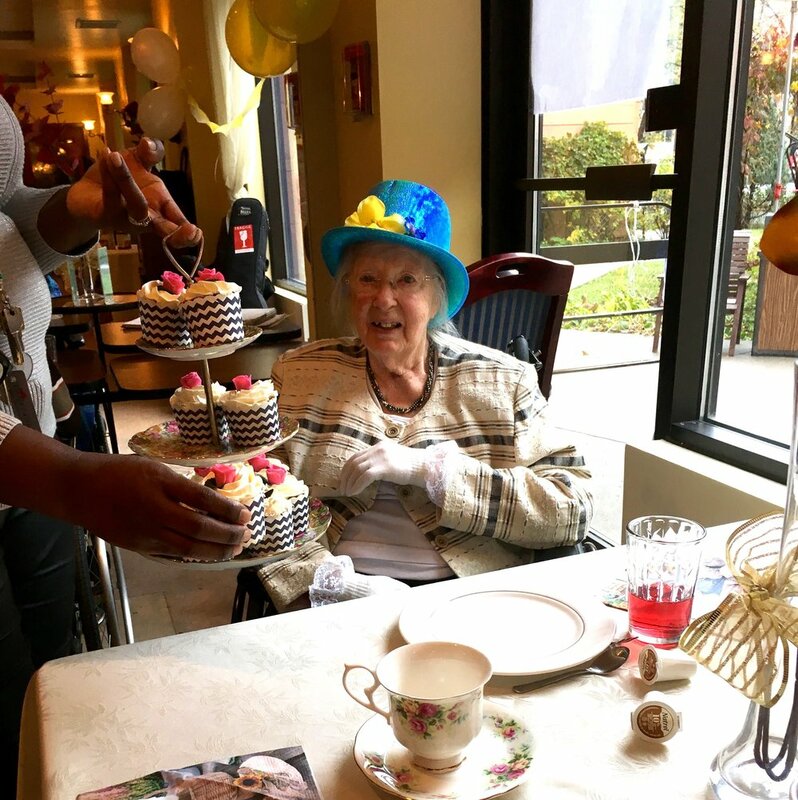 On Wednesday, April 18th, guests and members of the Church of St. Andrew and St. Paul (A & P) enjoyed a quintessentially English tea party hosted by The Guild and the Seniors’ Support Program (SSP) of the St. Andrew’s Presbyterian Homes Foundation.